1 Bedroom Flat For Sale in Duke Of Wellington Ave for £487,500. HELP TO BUY 40% AVAILABLE. 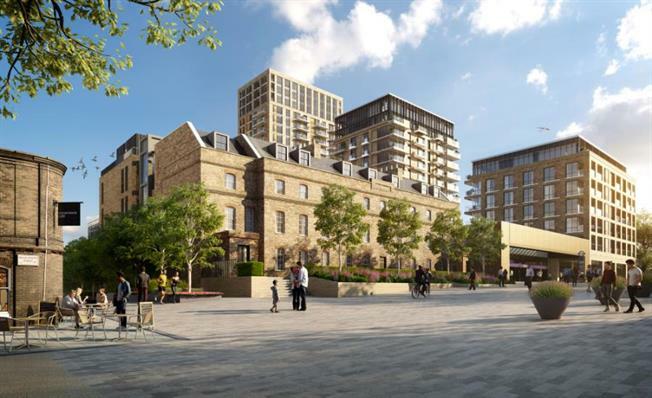 Officers House: Brand new, one bedroom apartment built by Berkeley Homes, situated within Royal Arsenal Riverside. A one bedroom apartment with east and west aspect and balcony, measuring over 60 sq mts. apartments on this side of the Officers House offers views out across the bustling square, comfortable and contemporary, each of these news homes have been carefully considered to maximize the advantages of the views and space.